Kids bedrooms are children’s sanctuaries; somewhere they can escape to and daydream in. Hard-working rooms, they can also do double duty as playrooms, reading spots and studies. The best kids bedroom designs are fun, practical and ignite the imagination. Kids bedroom themes are endless, but the trick to a smart bedroom design is choosing one that will go the distance, using kids furniture and decor that will grow with your children. 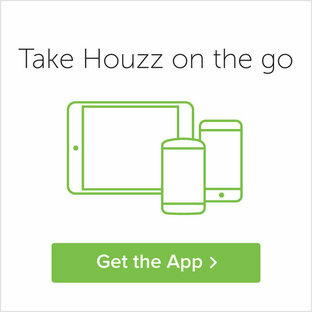 Whether you’re planning a kids bedroom or playroom, use the photos on Houzz for renovations and bedroom ideas, from kids furniture to toy storage and kids decor; then, strike up a conversation with the interior designers of your favourite picks. 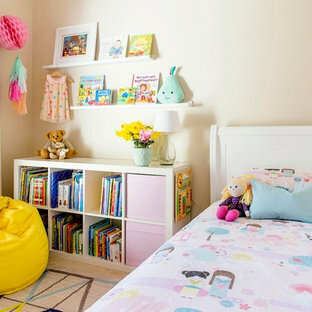 For even more kids bedroom ideas, check out the Stories section on Houzz. How do I decorate a kids bedroom? The best experts in kids bedroom decor are kids themselves, so, if you can, involve them in the design process. Use your little one’s favourite colour on the walls and add one or two other accent colours through bedding and soft furnishings. Kids rugs are a great way to update a kids bedroom and will protect your floors from crayon and text marks, too. Stick to neutral, durable and stain-resistant furnishings that can grow with your child as their tastes change, and opt for a full-size chest of drawers and shelving so they won’t need to be traded in after a few years. A trunk at the end of the bed makes ideal storage storage, too. Bunk beds are a popular choice for kids bedrooms, especially when siblings are sharing. Bunk beds will save your sanity during a sleepover, too – no makeshift beds in the living room. When your child is a teen, you simply replace the bottom bunk with a desk to create an area for study. A kids playroom should be vivid and inspirational, so get creative with colour and fun kids furniture. Encourage play with a puppet theatre tent, craft station or teepee, and if you want to splurge, unique features like a climbing wall, slide or swing. Let your kids create their own masterpiece with wall decals or a chalkboard wall, and include floor cushions and beanbags for lazing about. Finally, don’t forget much-needed toy storage – built-in cabinets and shelves, as well as multifunctional toy boxes that can be used as desks when closed. 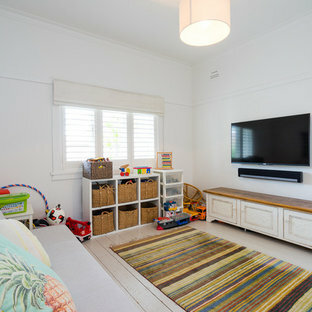 Photo of a mid-sized beach style kids' room in Sunshine Coast with white walls, medium hardwood floors and brown floor. 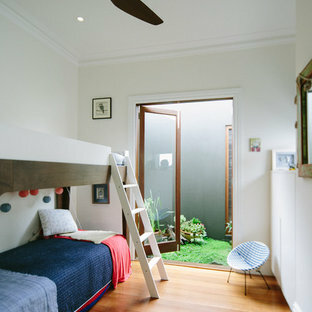 Photo of a beach style gender-neutral kids' room in Sydney with white walls, painted wood floors and white floor. 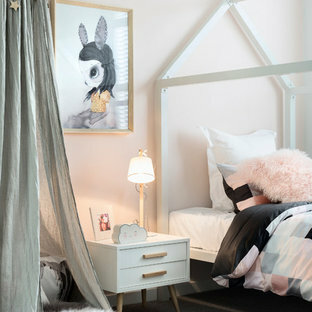 Scandinavian kids' room in Melbourne with pink walls and carpet for kids 4-10 years old and girls. 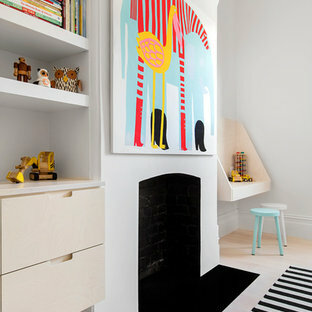 Inspiration for a small contemporary toddler room for boys in Sydney with white walls and carpet. Design ideas for a scandinavian gender-neutral kids' room for kids 4-10 years old in Melbourne with light hardwood floors. 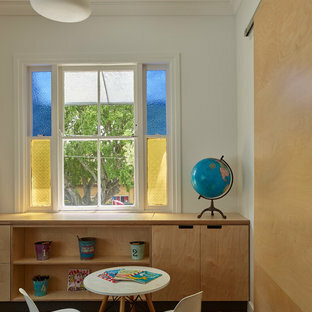 Photo of a contemporary gender-neutral kids' room in Brisbane with white walls, medium hardwood floors and brown floor. Design ideas for a mid-sized contemporary gender-neutral kids' room in Sydney with white walls and medium hardwood floors. 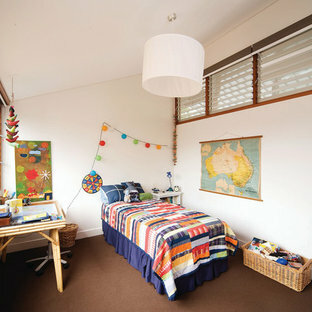 Photo of an eclectic teen room for boys in Melbourne with black walls, dark hardwood floors and brown floor. Photo of a beach style kids' room for kids 4-10 years old and girls in Other with white walls, carpet and grey floor. Inspiration for a beach style kids' room in Wollongong with white walls, medium hardwood floors and brown floor. Design ideas for a transitional kids' room for kids 4-10 years old and girls in San Francisco with multi-coloured walls, carpet and beige floor. Large country gender-neutral kids' room in Other with brown walls, grey floor and carpet for kids 4-10 years old. Photo of a transitional gender-neutral kids' room in Minneapolis with carpet and multi-coloured walls. Transitional gender-neutral toddler room in Charlotte with white walls, carpet and blue floor. Design ideas for a transitional teen room for girls in New York with white walls, carpet and grey floor.